An overwhelming majority of us, at some point in life, will need medication(s) to combat an infection. Anti-infectives are medications capable of acting against an infection, either by inhibiting its spread or killing the infectious agent outright. These anti-infectives may be an antibiotic, anti-fungal or anti-viral and some patients because of the chronicity of their illness will need their medication(s) to be administered intramuscularly or intravenously. A 2011 report from The Integrated Benefits Institute says that poor health costs the U.S. economy $576 billion a year and over 39% ($227 billion) is from “lost productivity��� from employee absenteeism due to illness or what researchers called “presenteeism,” when employees report to work but illness keeps them from performing at their best. While it is very important to keep healthy, when we do get sick, it is as important to be treated right away with the correct medication, proper dosage and the best method of administering said medication. 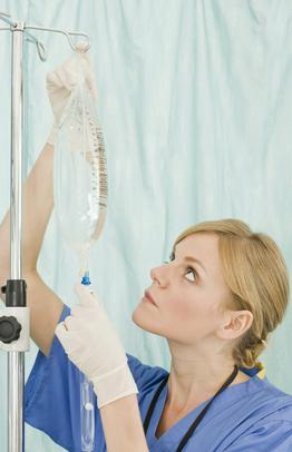 Las Vegas Infusion pharmacists are experts in clinical dosing of intravenous antibiotics, monitoring laboratory levels which is an objective way of making sure that the antibiotics work optimally with no or minimal side effects. All staff will also be in constant communication with the patients while on IV antibiotic therapy to monitor progress and ensuring that our patients have ample stock of medication and supplies to improve compliance and meeting the goal of therapy.